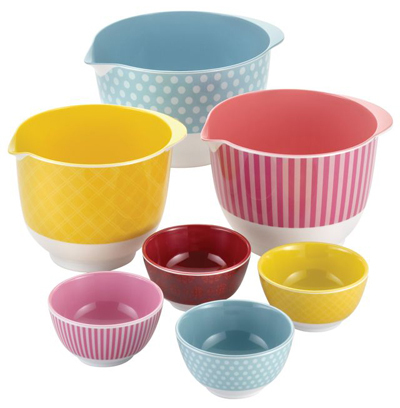 This 7 Piece Melamine Mixing and Prep Bowl Set is crafted from sturdy and colorful melamine. Each bowl has a distinctive color and accents. Mixing bowls have handles, pour spouts, and rubberized feet. $90 Sale $44.99. Buy here.